The Georgia International Horse Park announces their newest Community Partner, Cowan Hardware Company. Cowan Hardware Company, a family owned and operated hardware and farm supply business serving Conyers and Rockdale County for three generations, is the newest community partner for the Georgia International Horse Park. Owners, Joe Cowan and Sandra Etheredge, along with their experienced staff provide outstanding service and expertise to area farms, visitors, and community members with their inventory of general hardware, a complete line of Benjamin Moore Paints, and a full range of towing and trailer supplies. Cowan Hardware Store is the exclusive Exmark Certified Dealer and Service Center and a Gold Level Stihl Power Equipment Dealer. They are also a Platinum Big Green Egg Dealer, carrying a full line of BGE grilling equipment and supplies. Equestrians and visitors attending the Horse Park's 200 annual events will find expert help and supplies just minutes from the Park. 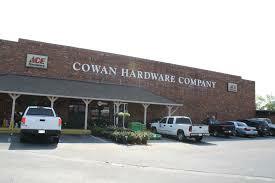 Cowan Hardware is located on Green Street in Conyers. Park Director, Jennifer Bexley welcomes Cowan Hardware Store as the Georgia International Horse Park's newest Community Partnership, " We are delighted to have Cowan Hardware as a partner with the park. We started the Park Sponsorship Program as a means to connect our visitors and our community to local and national products and services. We think Cowan Hardware is a great addition to our program". 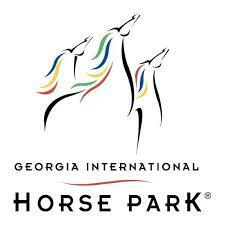 The Georgia International Horse Park, operated by the City of Conyers, has been groomed for greatness from the beginning when it opened its doors in September 1995 as the venue for the equestrian, mountain biking, and pentathlon events of the 1996 Olympics. 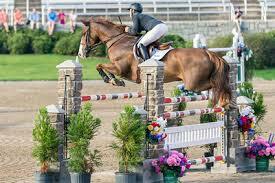 Today, the GIHP hosts a remarkable variety of special events, equestrian competitions, festivals, concerts, wedding receptions, family reunions, and sports competitions, as well as corporate events. The park's sprawling 1400 acres hosts an estimated 500,000 people annually at these events. and Cowan Ace Hardware www.cowanhardware.com.